This is a new generation of bathroom spy camera. 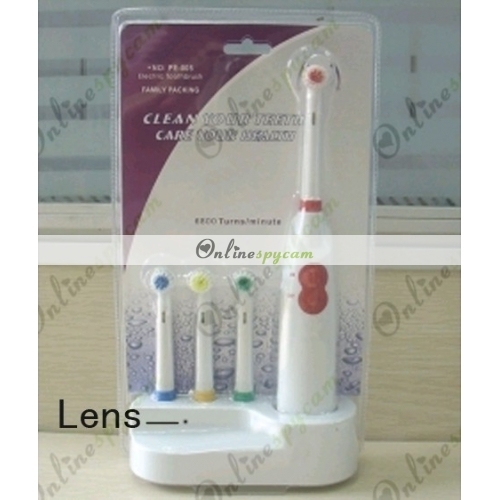 Compare to the first generation, this new Pinhole Spy Toothbrush Hidden Camera DVR of 16GB has more functions. According to the new technology, its resolution is up to 1280x720. And the 16 GB memory card helps it work longer time, then you can record more videos you'd like in one time. 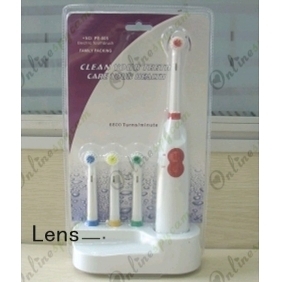 The camera of high definition hiddens inside an elegent electric toothbrush. The pinhole camera's position is so secret that no one can notice it even when it works. This new generation can be a good spy hidden camera, but it still keeps the function of a electric toothbrush. On one side you can use it as an ordinary electric toothbrush. On the other side, you can shoot videos which you are interested in secretly. What a surprise! The product has a memory card of 16GB built in itself, so you don't need to add additional memory cards. And the Lithium-ion battery of large capacity can help it work at least 8 hours. According to these, it's the ideal for a camera shooting lover or someone who want to record something important and exciting in secret.